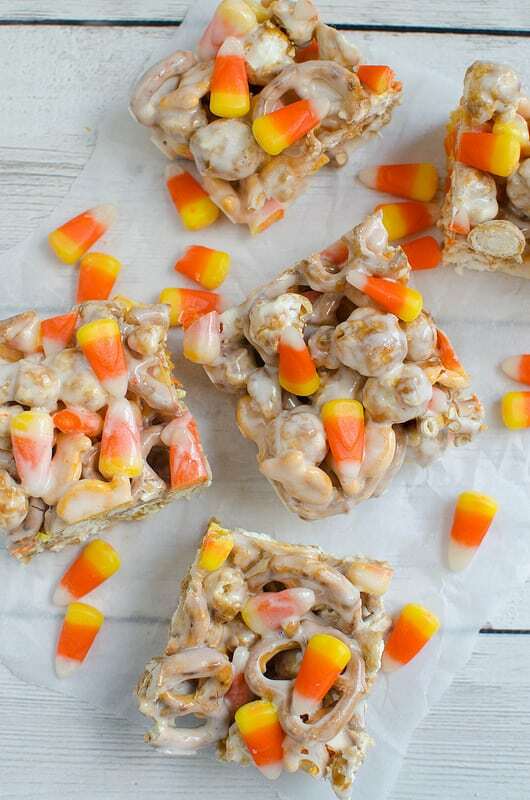 In a large bowl, combine the popcorn, pretzels, crackers and 1 cup Reese's pieces. In a large microwave-safe bowl heat Jimmy’s Caramel Dip in microwave in 1 minute increments, stirring in between until hot, add marshmallows and stir until melted and smooth heating again in microwave if necessary. Pour over pretzel mixture; stir until well coated. Press into a greased 13x9-in. pan. Sprinkle with remaining Reese's pieces; press lightly. Let stand until set. Cut into bars.